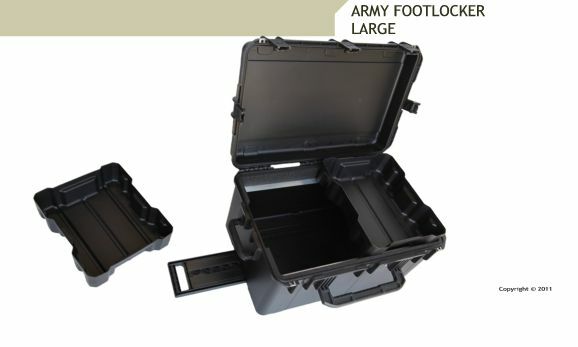 The CaseCruzer's Army Footlocker provides security to U.S. Military personnel when they deploy to any of the 700 bases our nation operates worldwide. 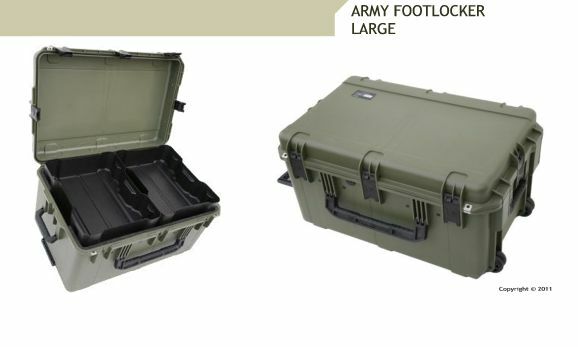 At a mere 27 pounds and 4.3 cubic feet of storage space the large Army Footlocker goes a long way in securing valuable personal belongings. The dual flanges can be fitted with padlocks. No matter where you go, the extendable handle and stainless steel bearings wheels makes these footlockers easy to move in any terrain. Complete gasket seal and automatic ambient pressure equalization valve make these trunks absolutely dustproof and waterproof; they are impervious to UV, solvents, corrosion and impact damage resistant (MIL-STD-810F). 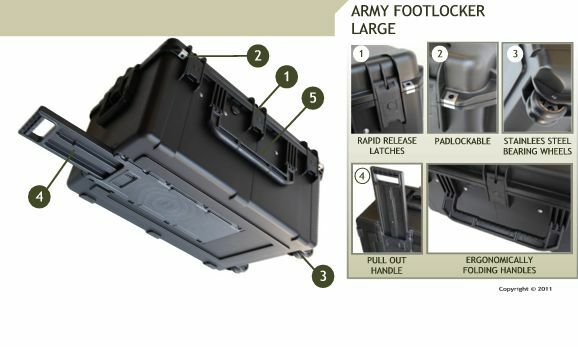 The inside contents can be accessed quickly with its "rapid release" latch system. Main storage area safeguards valuable possessions. Delicate items such as photos, jewelry, MP3 players, etc. - are all within reach when placed in the two trays that sit on top of the main storage area. All CaseCruzer carrying cases come with an unconditional lifetime guarantee. 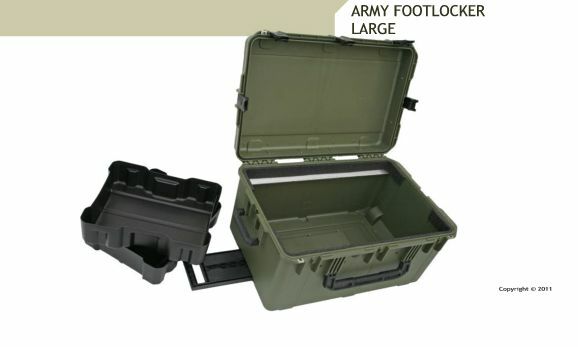 Universal KR model M4 / M16 gun case - accommodates one weapon, such as the M4 or the M16 rifle, as well as many handgun brands and sizes, including the M9 and M11 (or P228) 6 Pack Universal Gun Case Safeguards and protects handguns for Collectors, Sportsmen and Law Enforcers. Portable Deployment Motorola Carrying Case accommodates six Motorola XTS-5000 radios, spare batteries an six-bay charger unit.